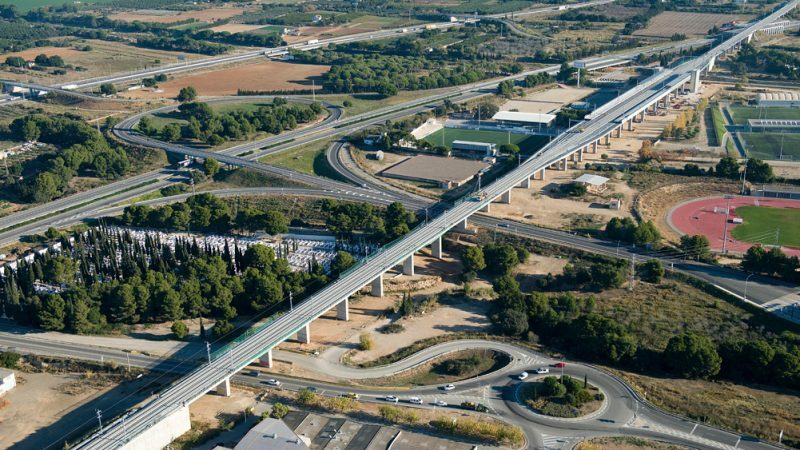 » Portfolio » Railway connection of the mediterranean corridor, Madrid-Barcelona-french border high-speed line, Cambrils station, Tarragona. Spain. 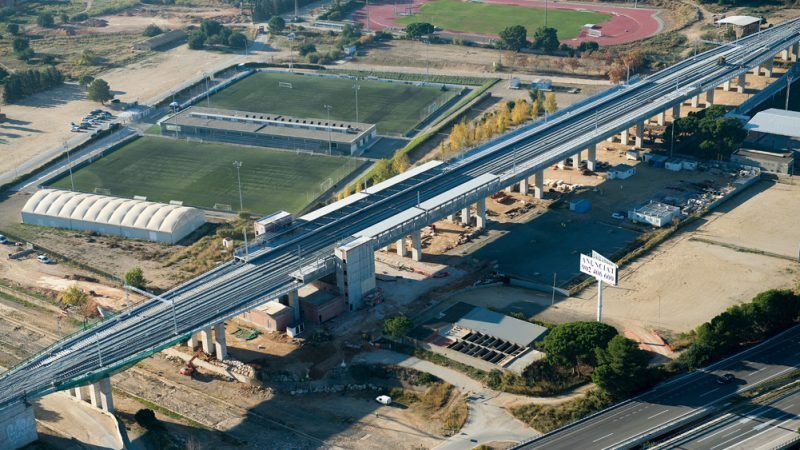 Railway connection of the mediterranean corridor, Madrid-Barcelona-french border high-speed line, Cambrils station, Tarragona. Spain. 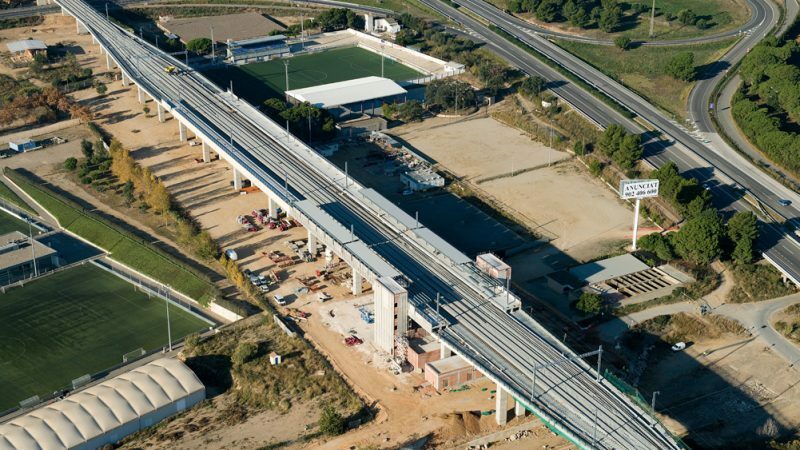 The scope of this project includes the construction of a viaduct with a length of 750 m and a total of 27 spans and the new station in Cambrils. One of the peculiarities of the station is that it is under one of the spans of the viaduct. The projected viaduct is built with the construction of precast deck panels with 84 precast pre-stressed girders of the “box” type, with a 1.80 m edge and top reinforced concrete compression slab executed on site with permanent shuttering slab formwork. The deck has an area with a special width of 28.20 m to house the 4 tracks of the station, and an area with a width of 12.60 m sufficient for the 2 general tracks. Two types of piers are built: with a single rectangular shaft of 5.00×1.80 m completed with a lintel of 6.00×1.80 m in the deck panel area with two girders, and with four 2.30×1.80 m independent rectangular shafts in the special width area. The height of the piers ranges from 9 to 16 m. The foundations are executed with surface foundations, except for two in which deep foundation sheets are used.